The word sankamap is Pidgin English for sunrise, sun-come-up. Brilliant. It’s also the local name for Bougainville as Bougainville is the first region to see the sun rise in Papua New Guinea. 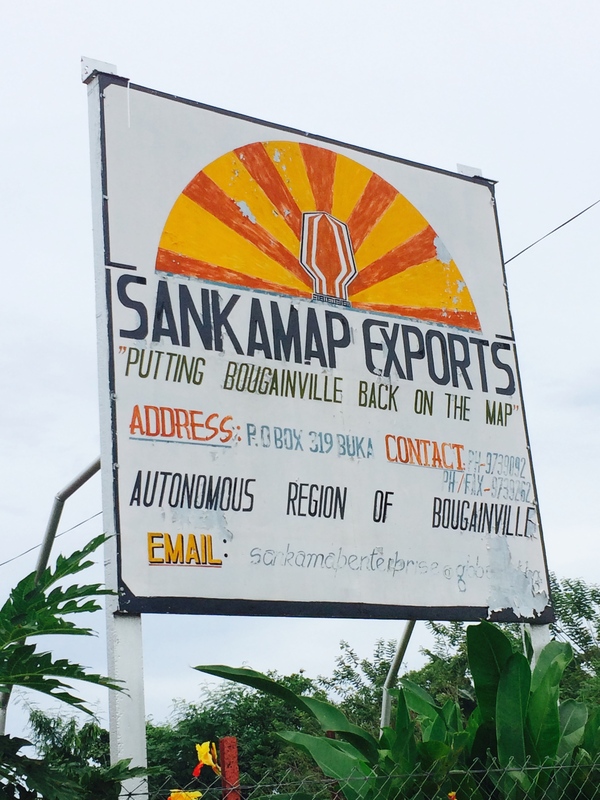 Sankamap Exports is a locally owned and run cocoa export company, the brainchild of Robert Critchley a young and driven Bougainvillean. 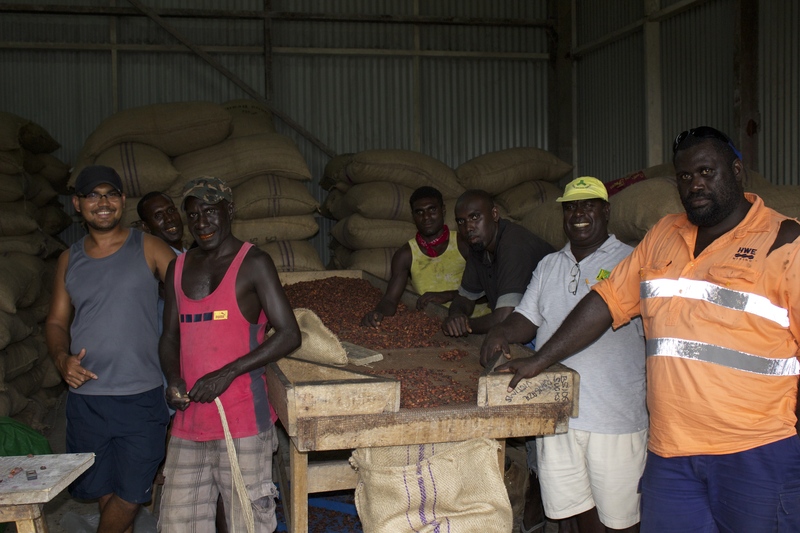 Robert was working for PNG’s main cocoa exporter but had become frustrated that Bougainville cocoa was being lumped in with the rest of PNG’s cocoa when it was exported to various places around the world. Bougainville cocoa didn’t really exist. Robert wanted to change this, plus some. He moved back to Bougainville in 2011 and started up Sankamap Exports, with the tagline: “Putting Bougainville Back on the Map”. Brilliant. Bougainville cocoa was once known internationally for its fine flavour and good quality but like most things was adversely impacted by the Crisis. 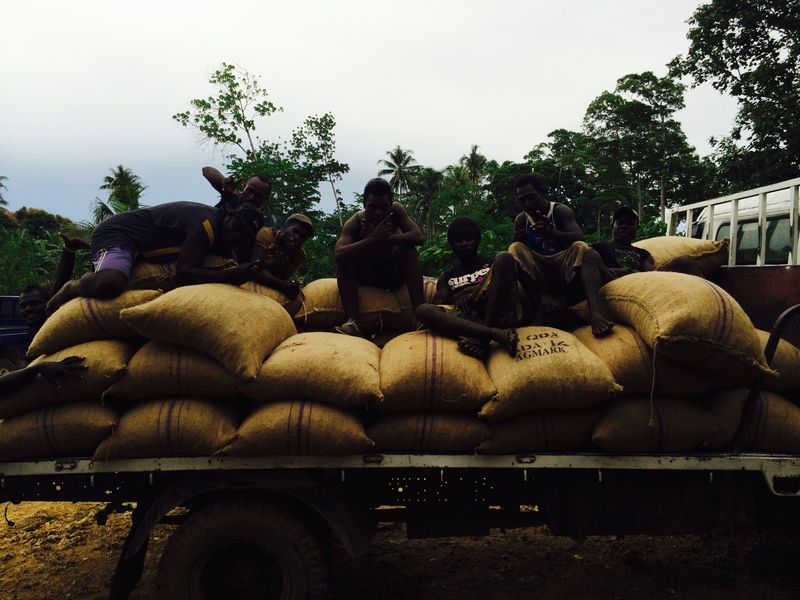 Robert wants to put Bougainville cocoa back on the map. 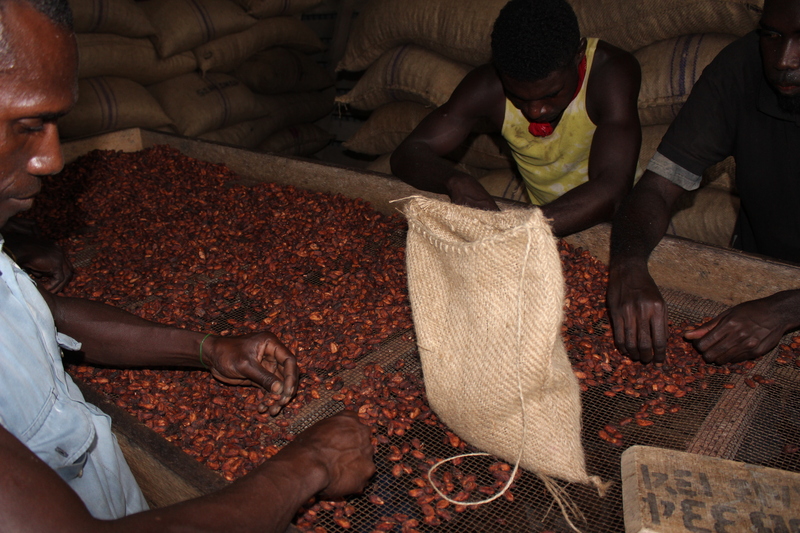 His operation has set the bar high for the quality of cocoa he buys and exports, so high in fact that he had to begin exporting copra (dried coconut) because he was rejecting too many bags of cocoa. He understands there is a way to go and that farmers need the tools and support to get back to the quality standards pre crisis. His plans include working with growers to improve their fermentation and drying processes, getting a better price for cocoa and starting to build a Bougainville Cocoa brand. Sankamap Exports have exported direct to the USA and soon good ol NZ! 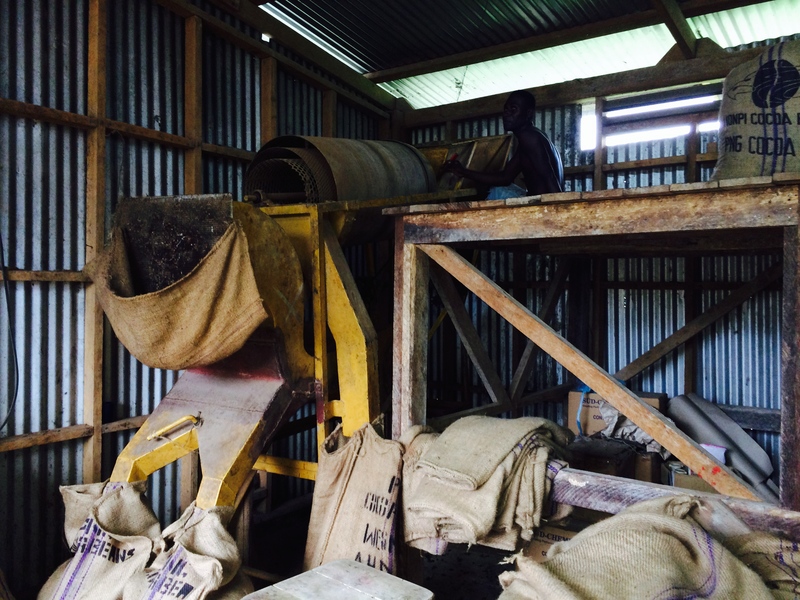 Robert and the team are going to get the Wellington Chocolate Voyage beans export ready which will include: putting the beans through his winnower (the only one in Bougainville!) 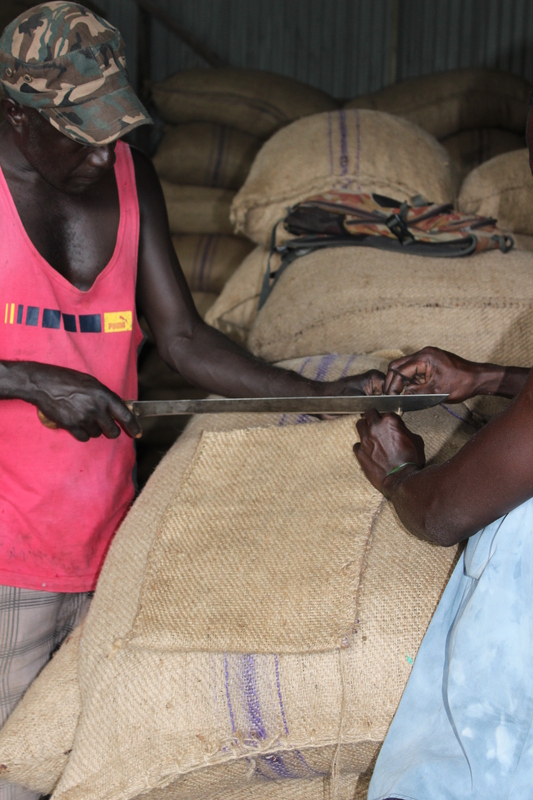 to remove any flats and doubles, a bit of hand sorting just to be sure only the best beans end up in the bag, fumigation and phytosanatary requirements, careful packaging, branding, and all the necessary paperwork. 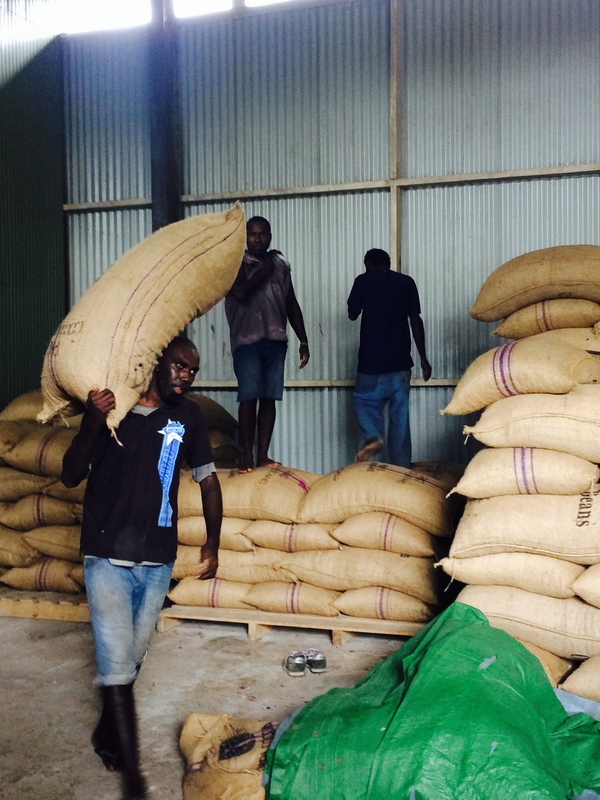 Robert and his team are the go-to-guys to get cocoa beans from Bougainville for sure! Email Robert at sankamapenterprise@global.net.pg for more information. Roberts winnower. It does a great job. Result. 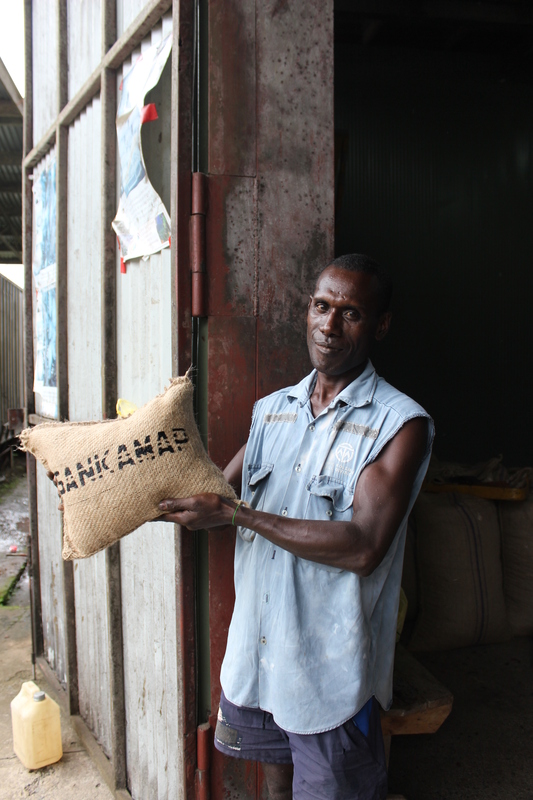 Sankamap cocoa beans, from Bougainville! ← Check this out! Too cool!